If you’re anything like me, interior design is something you absolute love. It’s your passion & nothing quite excites you more than the concept of redecorating or a trip to Homesense to forage for beautiful new treasures for your home. 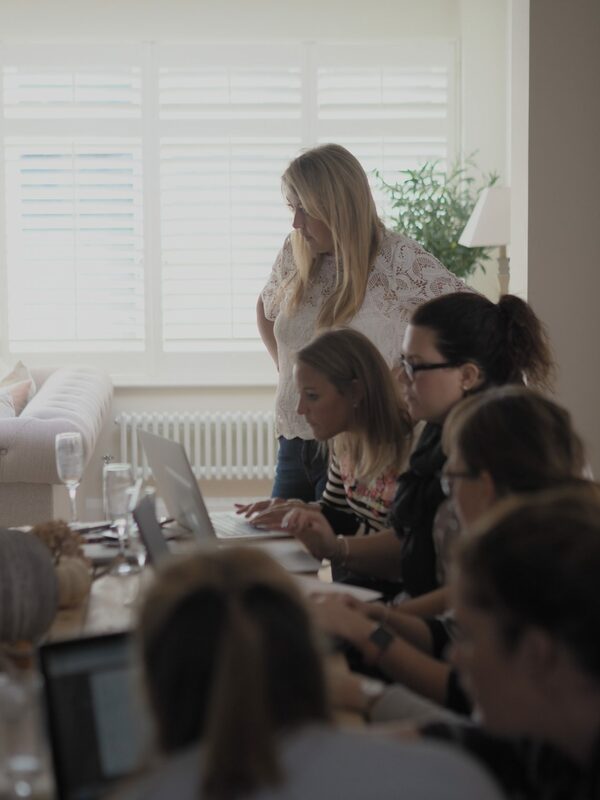 This weekend I hosted my very first interior design workshop with my lovely friends Laura & Lucy over at My Bespoke Room. On both Saturday & Sunday we welcomed a handful of interior addicts in to Baylyn House to talk about all things design; either for themselves & their homes or for if they wanted to take their hobby to the next level & start to design for others. You’ll see a few snaps from the workshop throughout this blog post & what we learnt. Having something you are obsessed with & love so much becoming your career is a real dream come true. It’s not often that you hear of somebody that wakes up each day excited to go to (in my case…walk downstairs to the office) work & something I feel like everyone should be able to say. 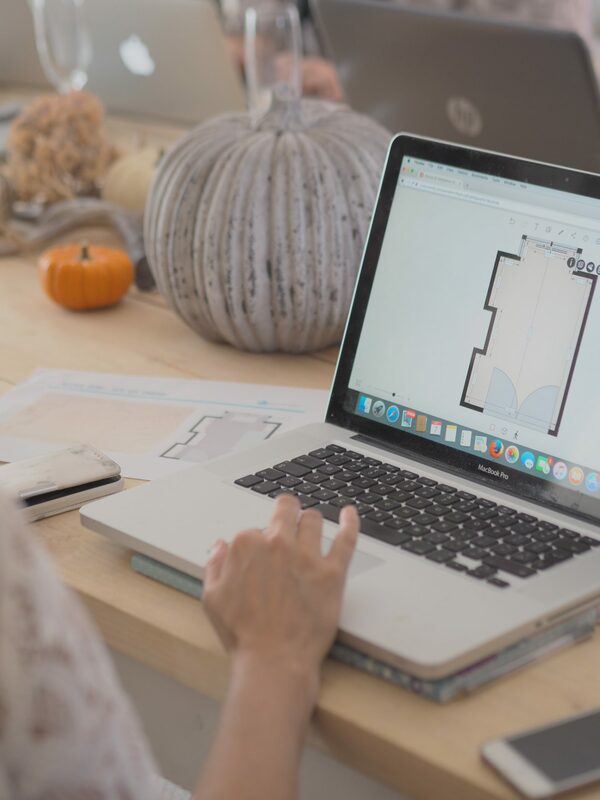 If you’re stuck in a rut in a job that doesn’t fill you with fire & you’d love to one day become an interior designer then this blog post is for you. I would say that usually people have a natural flair for interior design, but this is also something that can be helped by surrounding yourself with inspiration. 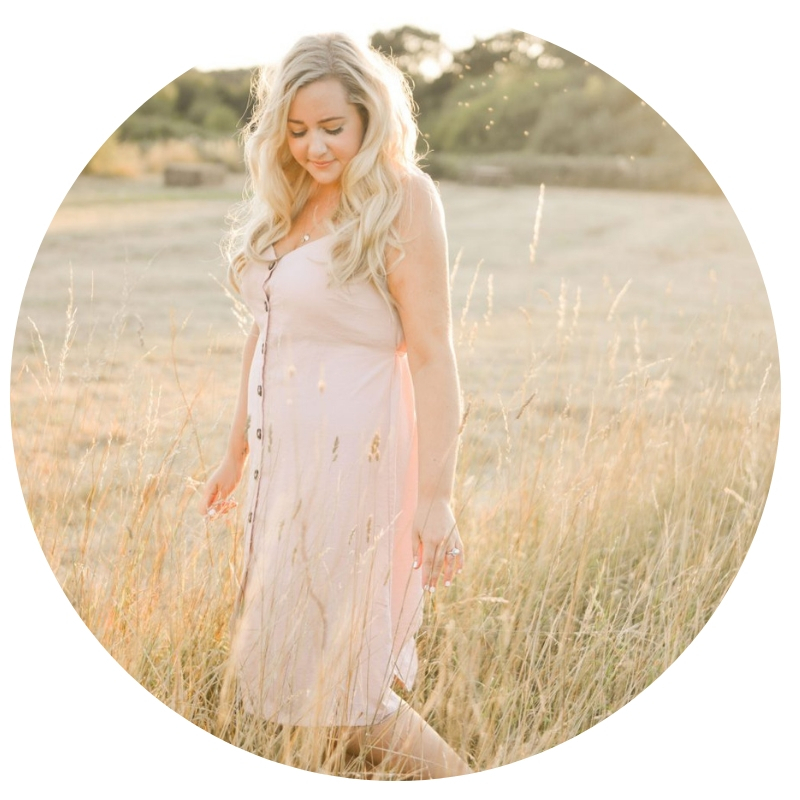 I started my career out of pure house obsession…I loved renovating my own home, found pleasure in shopping for homeware rather than clothing & loved nothing more than spending my free time scrolling through Pinterest. Now more than ever, it’s easy to find inspiration with the world of interiors taking over Instagram & more & more high street stores stocking beautiful interior goodies. 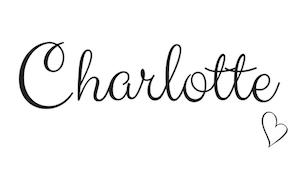 You can also see a whole host of gorgeous shoppable ready made designs on the ‘shop the look’/inspiration page found here. To gain experience (& make mistakes along the way…) most people get in to this field when they buy their first home & realise just how incredibly rewarding it can be to make a house a home & a beautiful one at that. 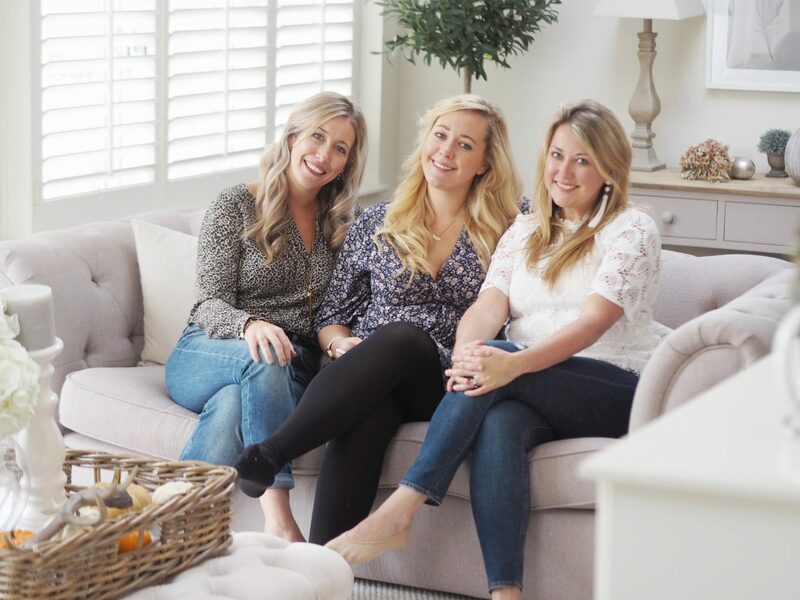 Laura & Diana founded My Bespoke Room on this very principle because after falling in love with interiors themselves, they realised that nobody was offering affordable, accessible interior design so they decided to launch a business doing just that. Over the years you learn what works, & what doesn’t, to be able to then move that experience forwards to then help others on their quest for the perfect home. 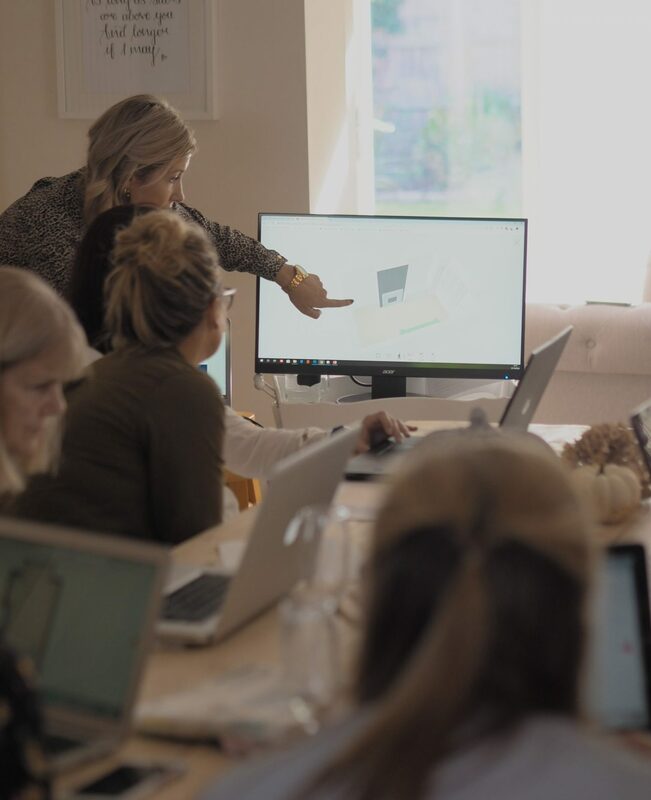 All of MBR’s designers are qualified & they recommend getting some sort of formal training but if you want to start, even getting some designs under your belt for your portfolio is a great idea to show potential clients. Call on friends/family to give their rooms a bit of a makeover! 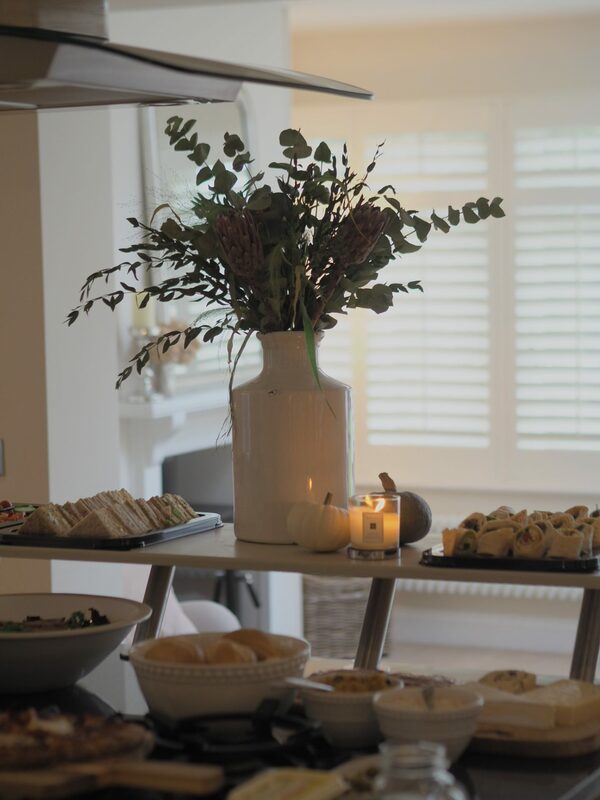 Once you’ve found a client who trusts in you to turn their room from drab to fab, it’s time to do the all important job of getting to know your client. Obviously the more you know them, the easier this job is going to be but unless it’s a design for your BFFL you’ve got to remain a bit more professional. The main way you’re going to do this is the below two points to create a brief. Lucy’s top tip is to keep coming back to this brief throughout & when decision making to keep on track. It’ll be your best friend throughout the design process! I find the first port of call (before you meet them or if you’re doing this remotely then before the telephone or email conversation) you want to ask them to send you a few images of interiors they love. You may find they all sing from the same hymn sheet, or they may love a range of looks/styles, at which point you need to probe what elements they love from each to fine tune an overall look. 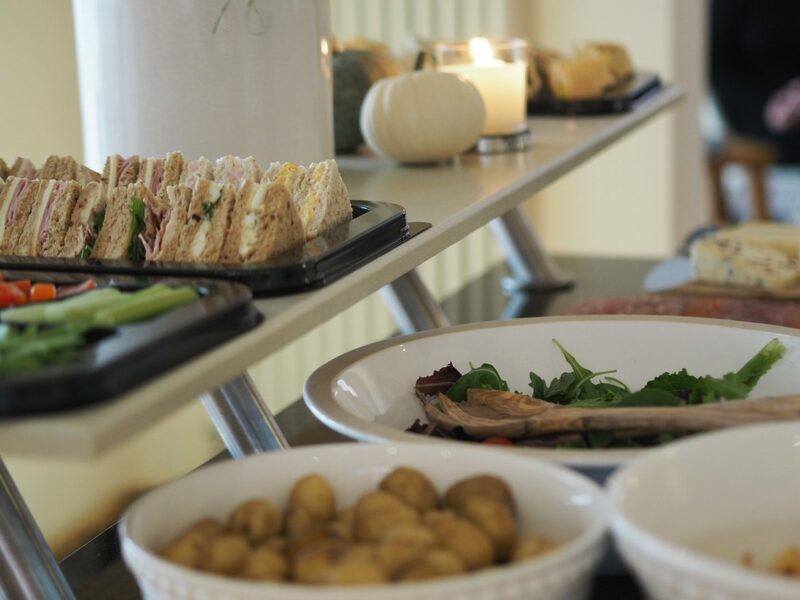 Once you’ve got an idea of what they like, it’s time to essentially interview them to find out some crucial points of what they’re looking for & how you are hopefully going to give them the room of their dreams. Are there any colours or patterns that are a no go? Any materials to avoid (marble, leather etc)? Do they prefer silver/chrome metals, brass, copper or are they happy to mix metals in the room? What items would they like you to source for their room; any details RE sofa styles (chaise, sofabed, chesterfield), fabrics (velvet, leather, stain resistant). 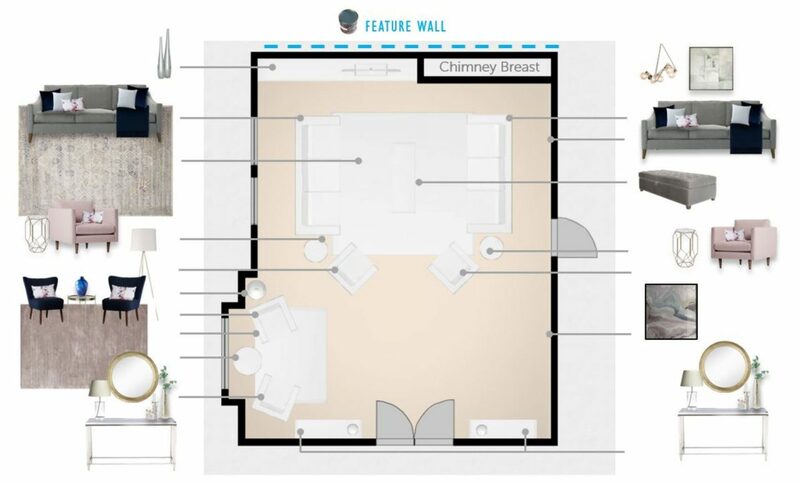 What function is the room going to have, does it need to have multiple uses e.g playroom come snug, kitchen come dining room. Who’s going to be living there, do they have kids/pets. Talk about lighting within the room. Are they an overhead or mood lighting kind of family. Do they want to add some low level lighting (lamps) to create a nice ambient light in the evening? Would they like to replace any ceiling pendant lights? Add bedside pendant or wall lights? Ask if there are any particular storage or display requirements for the room. Do they have a collection they wish to display, lots of books to store or is toy storage required. Ask your client to measure the space (including things like ceiling & sill heights, the more the merrier) or do this yourself during a site visit as well as taking as many pictures as possible to reference. 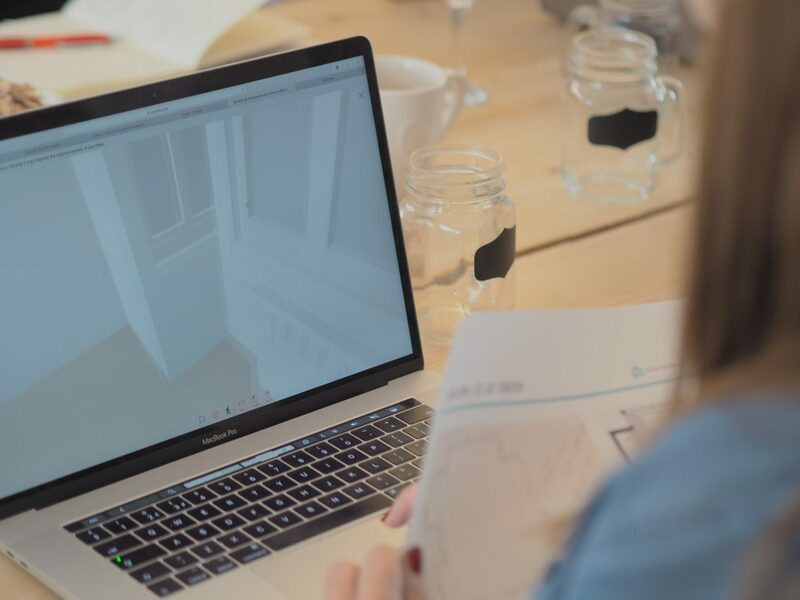 Once this is done you can use software to create a 3D visual of the room & see how furniture is going to best fit within the space before sourcing. Remember to check the following however – where radiators, plug sockets & aerials are located. Is there a picture rail (to allow room for wall art, large mirrors & so on), the dimensions of alcoves & fireplaces. 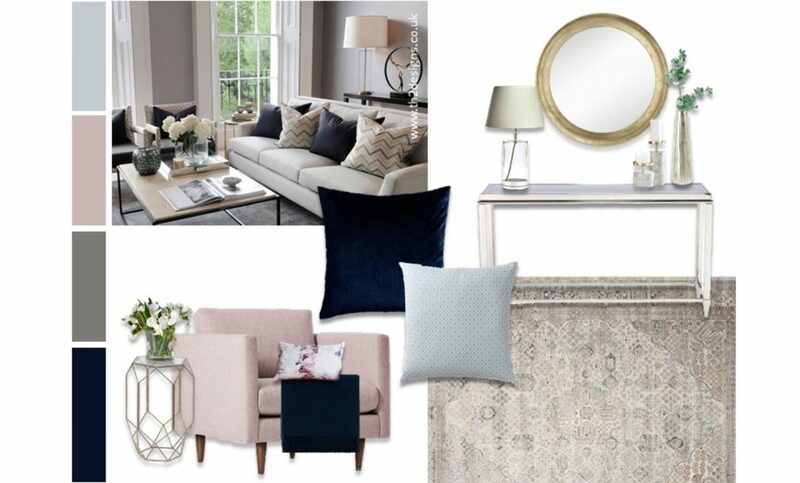 Mood boards are a massively important aspect of being an interior designer. It’s job is to show your client what is going on in your head (remember they may not be able to visualise what you can, hence why they’ve employed you!) so nows your chance to show them you’ve understood the brief/what they want & to make sure nothing massively sticks out like a sore thumb that they may not like or doesn’t fit well within the scheme. 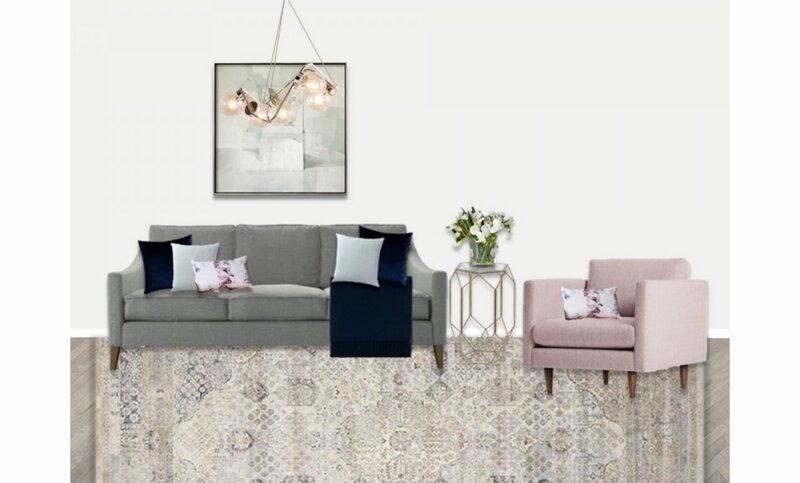 As MBR is an online interior design service they stick to designing these online which are then sent across via their fabulous platform & give the client an immediate impression of what their rooms going to look like. I personally do a bit of both & love a good old fashioned cutting & sticking session. If you’re presenting personally or have a higher end budget then you can use a ‘physical finishes’ board which can include fabric, paint, flooring samples to give your client an idea of the quality & feel of the materials used. Once you’ve agreed on a layout with your client, now’s the fun bit of ‘pretend shopping’ AKA sourcing lots of pretty bits. It’s now easier than ever to find beautiful homeware across specialist stores but also from many high street brands that have delved into the interior world. Some of My Bespoke Rooms favourite places to source are Made.com, La Redoute, Wayfair, Cult Furniture, Graham & Green, Maison Du Monde, West Elm & Sofa.com. Remember to stick within budget & also to provide a few alternatives for the main pieces to give your client some options if they aren’t 100% on some of the items you’ve chosen, but not too many, as you don’t want to overwhelm them with choices. Nows the time to present all your hard work to your client & no doubt knock their socks off with how incredible the design is. They will then move forward & turn your design in to reality. Congratulations! 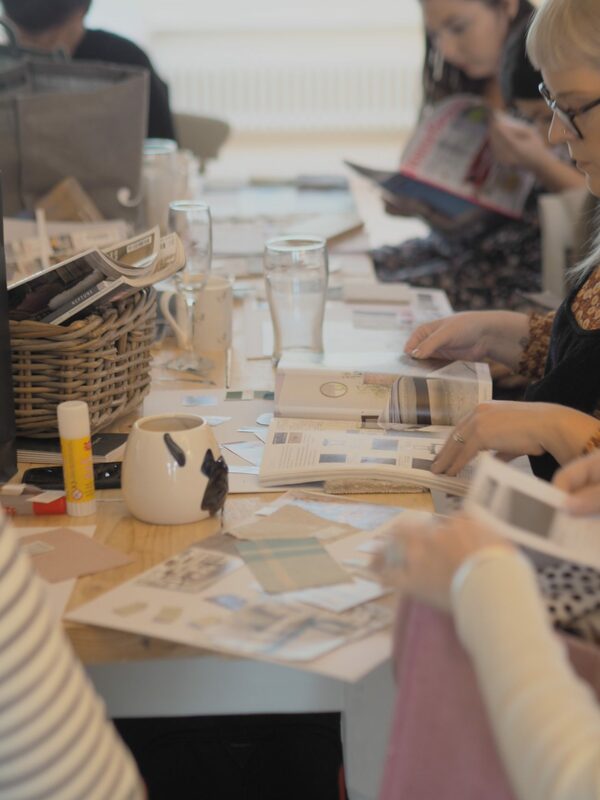 It’s safe to say that the workshop was a huge hit & we were so lucky to have such wonderful ladies attend who no doubt learnt a whole heap about what it’s like to be an interior designer. They all walked away suitably stuffed (because I’m essentially a feeder!) with invaluable tips, tricks & more importantly the confidence in their own ability to move forward & turn this in to something special. If you’d like to hand it over to the experts & let the professionals help then My Bespoke Room are offering 10% off room design packages up until the end of November for my friends, family & lovely followers. If you fancy having your home looking perfect for the Christmas period then use ‘THTMM10’.